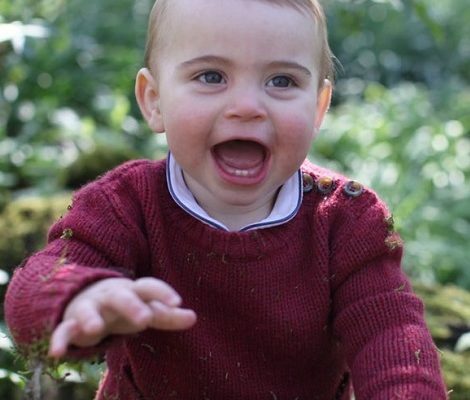 Moving towards the end of the year, Duchess of Cambridge gave us another tiara treat. She joined Her Majesty the Queen and other members of royal family at Buckingham Palace for annual diplomatic reception. Around 1000 guests from 130 countries attended the glittering event. As it is a private event no official photographs of the event are available. 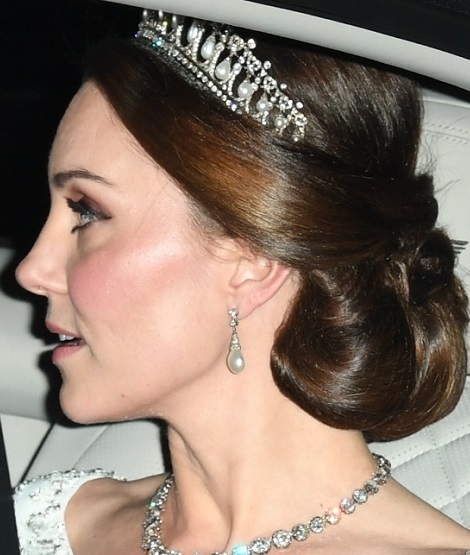 For the sparkling event, Duchess once again chose one of her go-to tiara- Cambridge Lovers Knot also a favourite of her late mother-in-law Princess Diana of Wales. Duchess Kate paired the family heirloom with Princess Diana’s Collingwood diamond and pearl drop earrings, and a new diamond collect necklace on loan from Her Majesty. 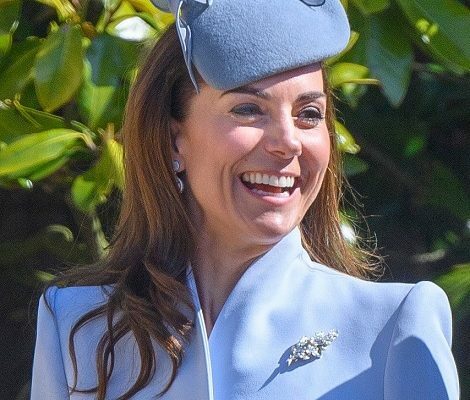 James WhatlingThe dress worn by Duchess of Cambridge is not identified due to the lack of clear pictures but it seemed an off white dress with embellishments on it.The post will be updated soon when more details are available.